Watching your favorite movies is so much easier now than it ever was, thanks to the many sites that offer movie tickets online. Among the most popular sites of this type are Fandango and Movietickets, which definitely make it a lot easier to stay up to date. Here’s a closer look at both sites and what they have to offer. It is important to realize right from the get-go that neither Fandango nor Movietickets are one-stop ticket shops. Both sites actually have larger chains backing them, much in the same way that movie studios support the HD-DVD and Blu-Ray formats. Movietickets.com currently offers tickets for companies such as AMC, Krikorian, Pacific, Mann, and Landmark among others, while Fandango offers tickets for Regal, Century, Captain Blood's, and Laemmele. Both sites also offer show time information. Both Fandango and Movietickets actually look pretty much alike, and they work almost the same way as well. Users can search through the movie database by title or by location, and the search process for both is quite easy for anyone to use. Searching for a movie at both sites involves a similar procedure, requiring users only to enter their zip code, after which the show times in nearby theaters are displayed. The difference between the two sites is more apparent when you search for movies by location. Fandango only shows the movies featured by affiliated theaters for instance, and unaffiliated theaters can only be seen by going through the entire list of affiliated theaters. 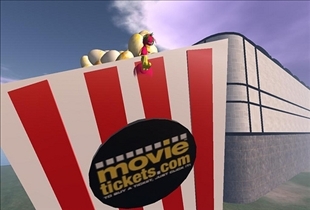 Movietickets does require users to go through an extra step, to view the theaters, although both affiliated theaters and unaffiliated ones are shown. Both Fandango and Movietickets make money by hosting banner ads and by earning a commission from every ticket that they sell. 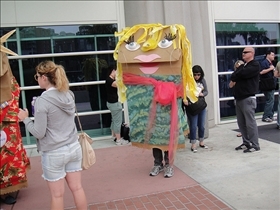 The banner ads in both sites are typically placed along the top of the page, and most are entertainment related. Population-ups may or may not be displayed, depending it seems on the browser that you use. There is another way that the sites make money, and that is with service charges. Both Fandango and Movietickets charge $1 for every transaction, which is intended to pay for the privilege of not having to stand in line for your ticket. While some people find this fee acceptable, many feel that the revenue generated from banner ads and commissions should be enough. Movietickets does redeem itself somewhat by waiving this fee for members of the AMC Moviewatcher club. Fandango for its part is affiliated with the Regal Crown Club, although it offers no significant benefits in terms of eliminating the service charge. Which website offers better discounts?